The unique Abdon Church kneelers were made by the parishioners of Abdon. The kneelers depict the properties and views that make up our village of Abdon. 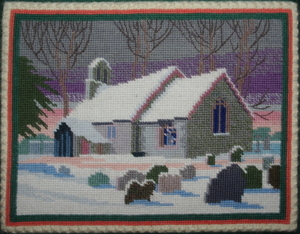 Join our sewing club and make a kneeler for the church.